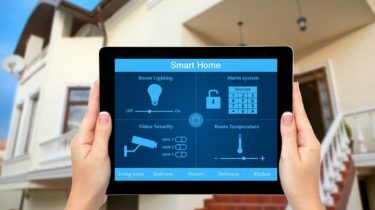 A home security system integrates electrical devices in your property through a home network to allow control using a computer. One such system is the canary all in one home security system. Modern technology has enabled the system to be controlled using smart phones and tablets making the whole process easy and fun. Security for your home can extend to detection of fires, gas leaks, carbon monoxide detection and water leaks detection systems. These system normally notify the owner if there is a potential threat by activating the alarm systems or by sending a notification message to users having smart phones or tablets. We have a number of options when installing an automated security system for your home, however can install all systems or simply install a combination of the security systems to reduce on the costs. This is the computer system that manages how the system operates. It arms and disarms the systems while sounding the alarm if the security is breached. This system also communicates with the installed components and also help communicate with the home owner and security monitoring companies. Surveillance cameras are used in monitoring entry points, distant locations, inaccessible areas and remote building through computers, tablets and smartphones. They are also used to monitor movement within the compound and can be used to record any unusual activity such as burglaries. According to Homeautomationjudge.com the benefits of this system is that you can refer to footage which can really help in identification of culprits in cases of breaking and entering. This system is comprised of two parts installed adjacent to other. The first part is installed in the entry point while the other is installed on the door frame or window still to complete a circuit when locked. When the door is opened, the sensors are separated making the circuit incomplete, this automatically triggers the alarm system notifying the home owners. These systems operate on the same principle when identifying the impending danger. A series of detectors and sensors triggers an alarming system until the danger is controlled. These detectors go a long way in ensuring that you and your family are secure from such risks. Automated security systems increase comfort at our homes by making us feel secure in our homes. Before purchasing an automated system, enquire about the latest technology from manufactures to ensure the best systems are installed in your homes.